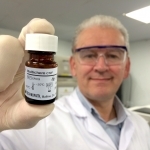 Multichem™ CSF was developed by our R&D team to meet the evolving requirements of modern clinical laboratories world-wide. 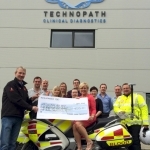 Tipperary, Ireland – 20 September 2016 - Technopath Clinical Diagnostics (TCD) a global leader in quality controls and software for clinical laboratories, recently took part in ‘An Fulacht Fia’ BBQ competition to raise funds for Blood Bike Mid West on August 27th 2016. 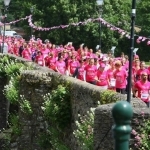 2016 is the seventh year that Technopath Clinical Diagnostics has sponsored the Pink Ribbon Walk, Killaloe. A Team from Technopath Clinical Diagnostics is attending the AACC 2016 Annual Conference in Philadelphia. Tipperary, Ireland – 15 February 2016 - Technopath Clinical Diagnostics (the “Company”), a global leader in quality controls and software for clinical laboratories, today announced a significant expansion in manufacturing capacity to support the rapid growth of its world-leading Multichem and IAMQC product range. Technopath Clinical Diagnostics announces the launch of new Multichem A1c Diabetes Control.